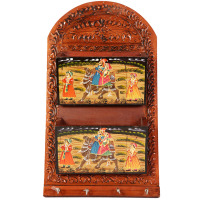 This dual purpose wooden artwork is designed to keep your place neat and tidy. 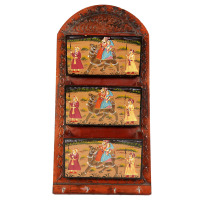 The semicircle topped key holder is also provided with a cavity Read More..for placing magazines. 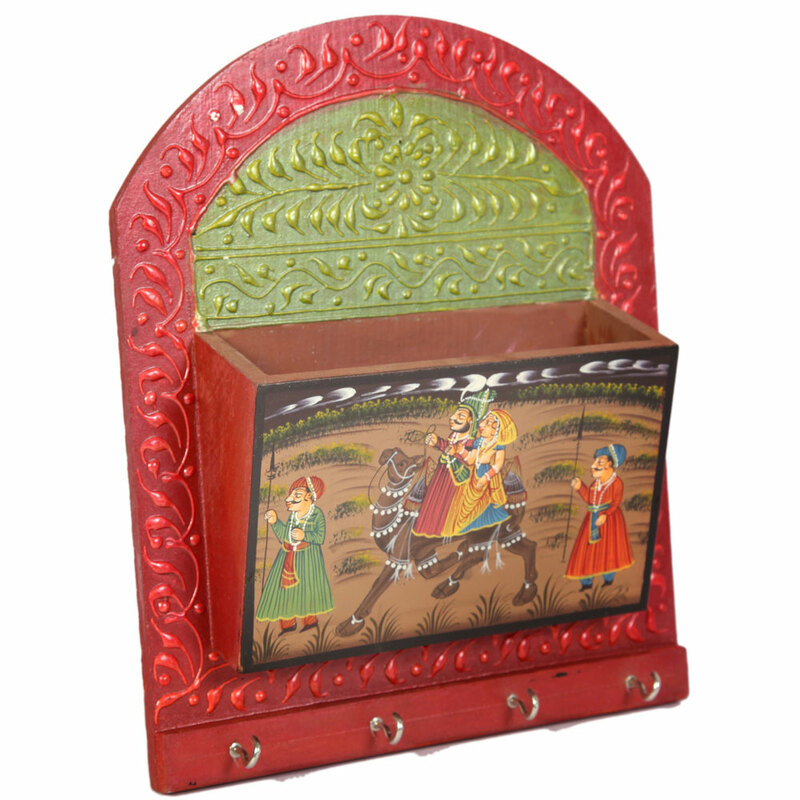 While the wooden frame is decorated with self-carving, the front of the magazine holder is adorned by a beautiful traditional painting. Show Less..